This week the challenge is to talk about authors new to you last year. I have a few on this list with sequels coming out in 2019, so I’m excited to share those authors in particular. GtDmL was one of the first books I ever reviewed on my blog, so it has a special place in my heart for that reason. It’s also just hands down one of the best fantasy novels I have ever read. I loved Revis’ take on necromancy, and the path of “evil”. It’s a fascinating, heart pounding, gut-wrenching read and if you haven’t already added it to your TBR you really should. The sequel is called Bid my Soul Farewell and I just cannot wait until it’s in my hands! Another of my early reviews on the blog, and another favorite! This was one of the first Asian inspired YA novels I read, and it set the bar so high for me. I loved subsequent titles just as much, but somewhere in the back of my mind, I am always comparing to Shadow of the Fox. 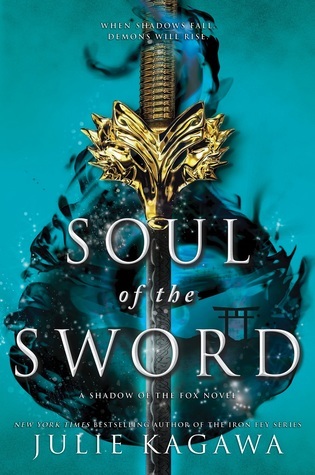 The sequel is titled Soul of the Sword, and I can’t get enough of that cover! I’m starting to notice a theme here! I first read Wicked Saints in 2018, and have already reread it in 2019. I just love it that much. If it’s not on your 2019 TBR…fix that!? You guessed it, another of my top favorite books of the year with a sequel coming out in 2019! The Dragon Republic is sure to be one of the best books of the year, I am dying to find out what happens next in this fast-paced, twisty turny, brutally honest story of magic & war. I was on the fence about reading Seafire after some lukewarm nautical novels, but I’m so glad I gave it a chance. I wound up loving the world and the crew, and I can’t wait to get back to the solar-powered pirate ships! If that isn’t the coolest and most logical use of solar cells you’ve ever heard I don’t know what is. Book 2 is titled Steel Tide and will be out in 2019! This scary monster book brings me so much joy. Honestly just making my list is making me so excited for my reading future. If you haven’t read this and you like moody, somewhat gruesome, thriller/horror books you should give it a try! 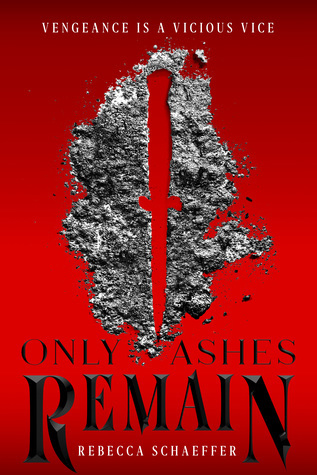 I JUST saw the cover of the sequel, Only Ashes Remain, for the first time, and oh my good gosh golly look at how lovely this is!!!! Something about this book just really called to me when I first heard about it, and boy was I right! I really want to read it again, I feel like I pushed through it too quickly so I definitely will do a reread…someday. I don’t know why it took me so long to finally read book 1 of the Wayfarer’s trilogy. I loved it so much! I can’t wait to work through the other 2 books throughout the year. I read this book with the Mysterious Galaxy YA book club, and it was so much fun to talk about in that settings. It really took me by surprise with all of the alchemy, and I loved that. Can’t wait to read Ladies Guide later this year! This book is my #1 Gothic Horror recommendations. You may never need another Gothic Horror on your shelves after this one. You can just read this, and have nightmares forever. It made me afraid of books…and I mean that in the best possible way. That list filled up way faster than I anticipated! Were any of these authors new to you in 2018, or will they be in 2019? I’m really looking forward to spending time with some of these new faves this year. Happy Tuesday! I just finished The Poppy War and wow! I can’t wait for the second. I also have Shadowof the Fox on my January tbr. If you want something like the Poppy War in more of a YA format, The Girl King was another book I loved! I’ve read it but thanks for the recommendation! Have you read anything else by Julie Kagawa? Otherwise I really recommend her Talon series! I haven’t yet! Talon is definitely on my list though!